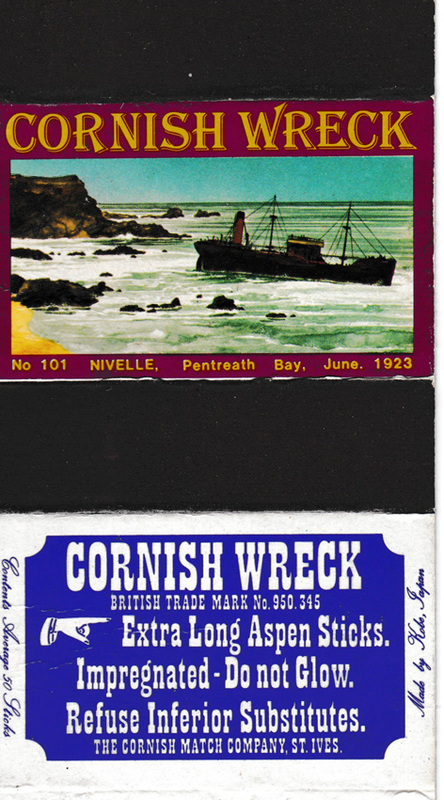 The 993 ton steamer Nivelle of London ran aground at Pentreath, near Kynance Cove in thick fog on 10th June 1923. Her crew was taken off by the Pilley and her cargo of coal was salvaged and carried up the cliff by the locals. The ship may have been refloated and not become a wreck.